I always like bringing back a little gift or two when I’ve been on holiday. I’ve found there’s a pretty fine line, though – there are only so many tacky keyrings you can stomach (especially from places you haven’t been before). 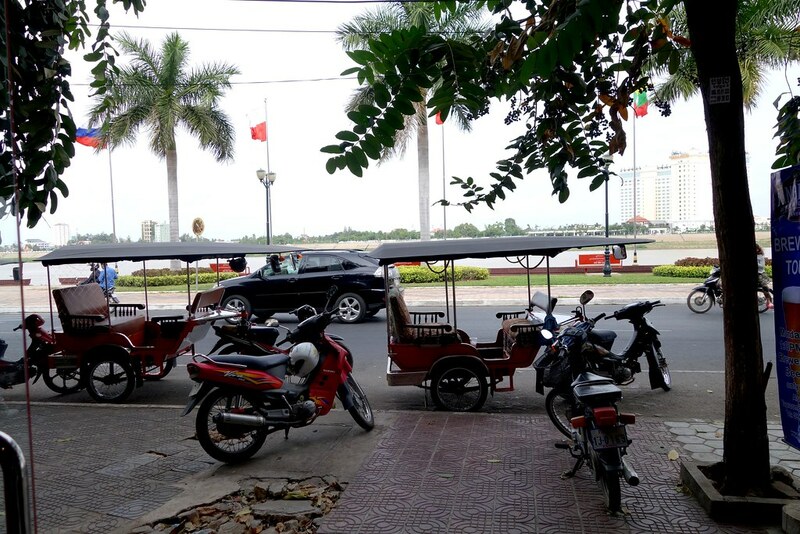 With this in mind, I thought I’d put together a list of my favourite places to buy souvenirs in Phnom Penh. Hopefully this should have something for everyone – from tchotchke lovers (you know who you are), to foodies, the fashion conscious and the socially and environmentally conscious, too. You can’t really go wrong with a edible gift – it won’t take up space, and it’s always pretty exciting to try new flavours. A gift of Kampot pepper is definitely the way to go – whether they use it in their pepper grinder, or make a delicious seafood sauce with a bit of lime juice. 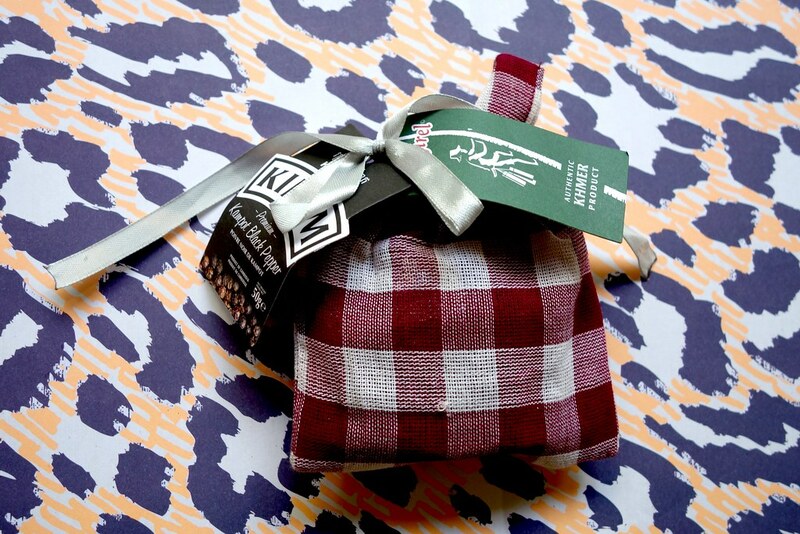 You can pick this up absolutely everywhere, but I got mine in this cute package below from one of the stores along Street 240. If they’ve got more of a sweet tooth, I’d strongly recommend swinging by The Shop on Street 240 for Chocolate. They’ve got some really unusual chocolate flavours, like Mondulkiri Honey and Sesame, Kampot Pepper, and Keffir Lime, and package them beautifully, too. 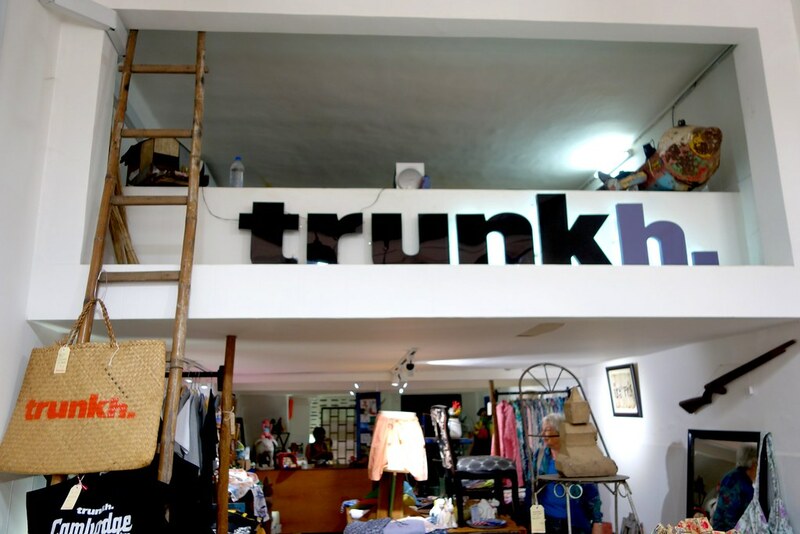 Trunkh, on Street 13, has some amazing things – I really have to reel myself in whenever I’m in there. 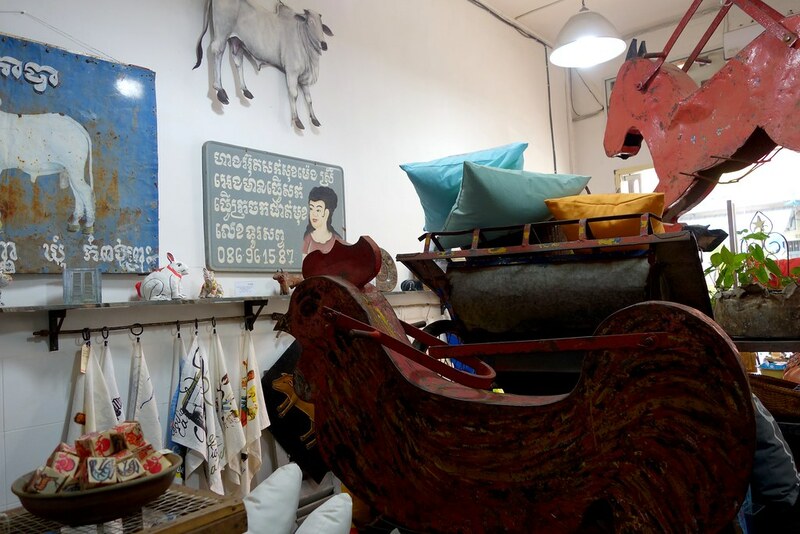 They’ve got an eclectic mix of homewares and clothing inspired by Cambodia, but with a very contemporary feel. 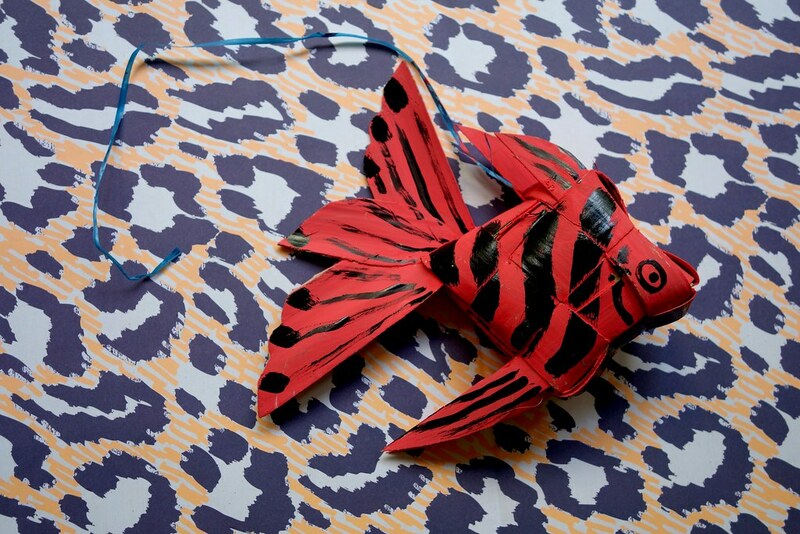 It’s a little pricier than some of the other places on this list, but you’re really paying for quality – and some of the items are really beautiful, like my tiger painting above! 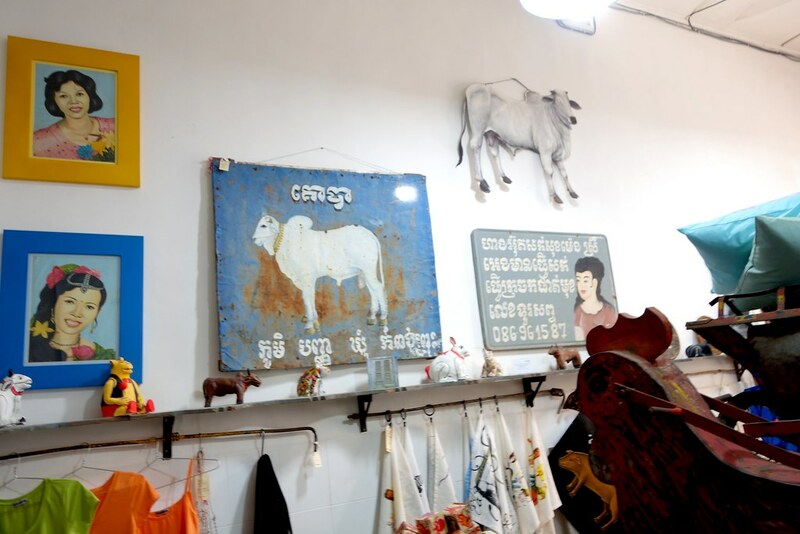 If you’re looking for more traditional Cambodian print and art, then Le Lezard Bleu on street 240 have a great selection of vintage prints, as well as silver artworks, photographs, and paintings, too. I recently popped into one of the A.N.D. 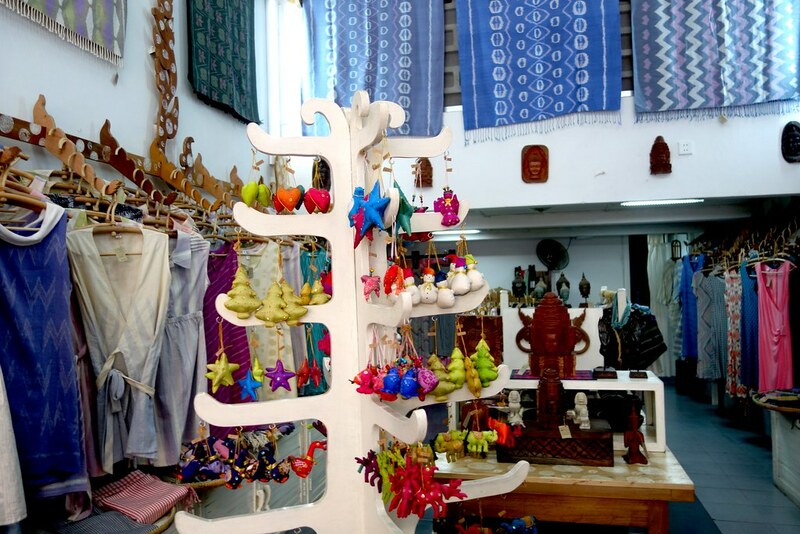 stores, and was really impressed – they are a fair trade brand, and work with local artisans. I bought a black cotton crop top which I ended up wearing pretty much everyday this trip, I loved it so much – and it was made by a landmine victim, too. 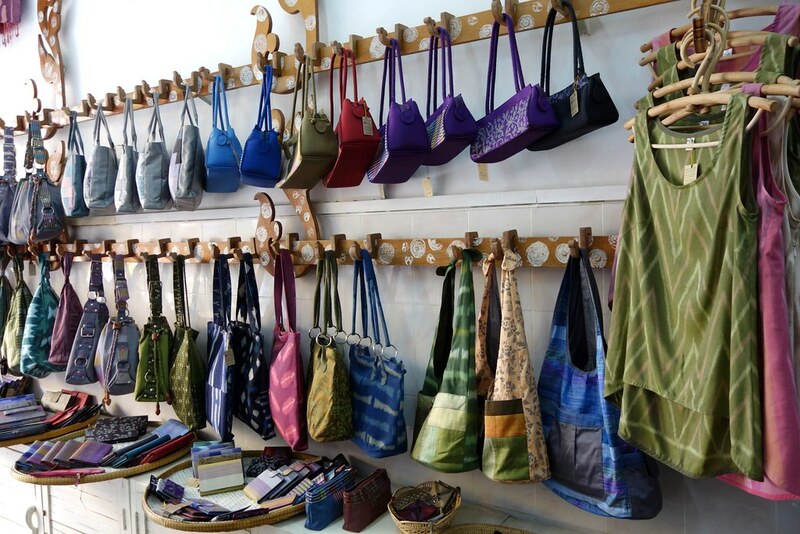 They have a great selection of handwoven clothes, bags and accessories, as well as wood carved accessories and notebooks, too. 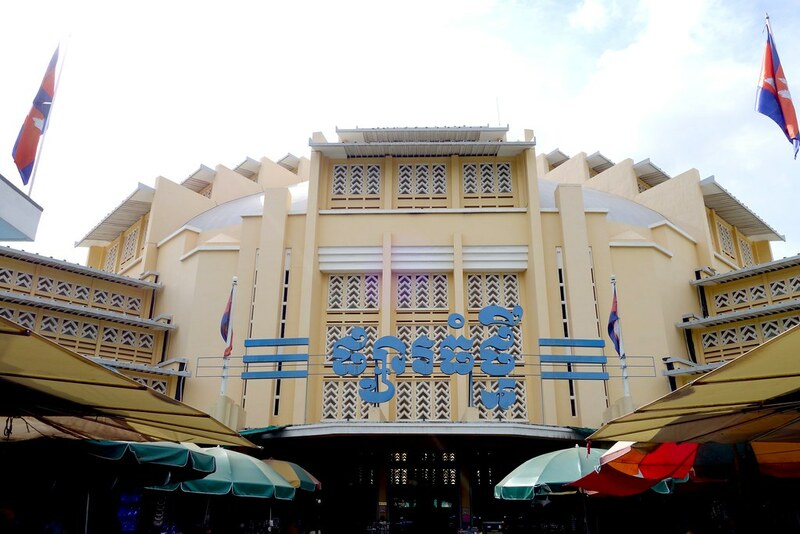 For beauty lovers, it’s worth going to Senteurs D’Angkor on Street 13 to stock up on natural soaps, oils, candles, and lotions. A lot of these boutiques tend to have a social good element to them, but none more so than Friends ‘N’ Stuff or Mekong Quilts. The Friends N Stuff shop is next to their restaurant, which is well worth going to – you can check out my previous review on it here. 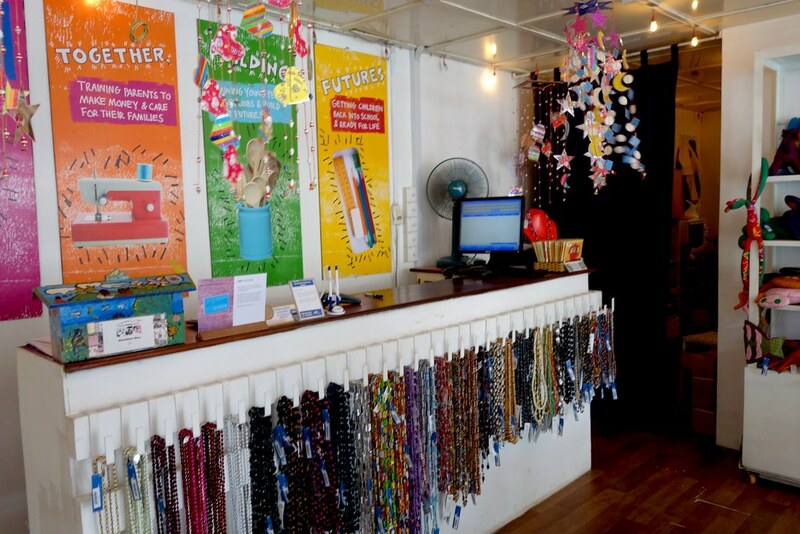 All of their products go to support great causes, and they have a nice selection of notebooks and accessories made with recycled materials with profits going back into the community. 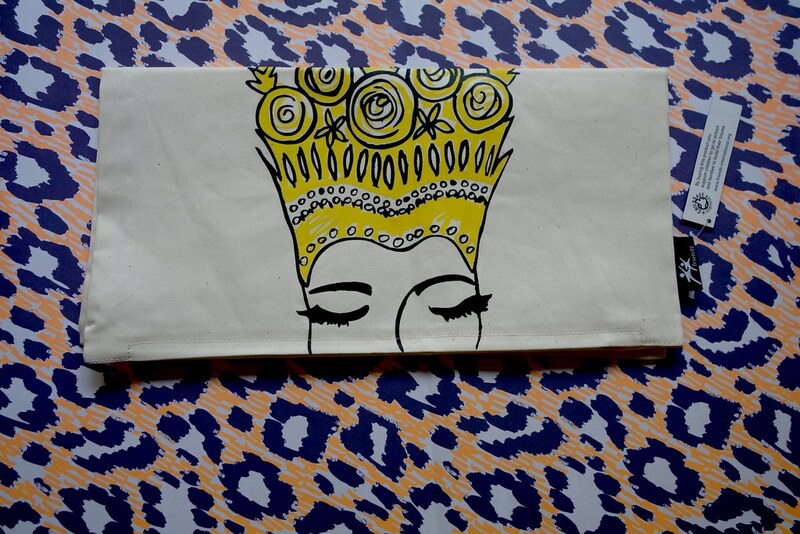 I picked up this cute pillow cover while I was there – I just really liked the contemporary and fun design. Mekong Quilts is a non-profit organisation that supports women in Vietnam and Cambodia. They also have a lovely range of items, from bunting and Christmas decorations to magnets, keyrings, duvet covers and laptop bags! 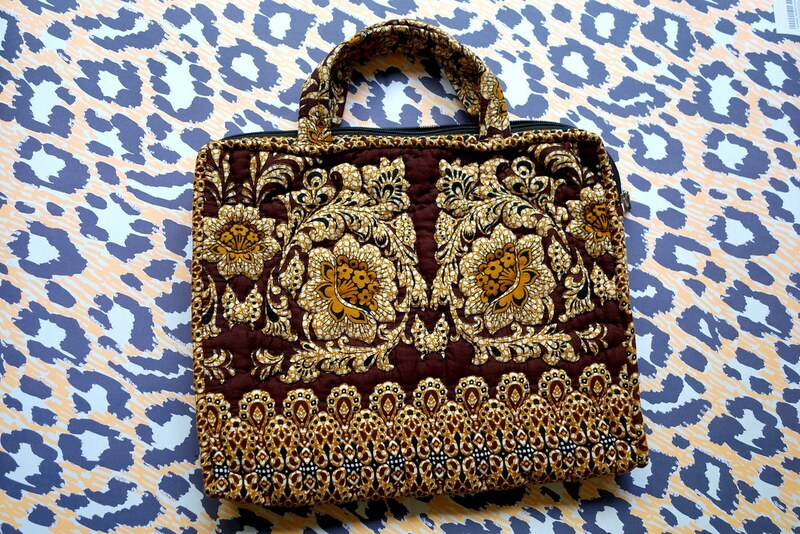 Smateria have some great items – brightly coloured bags and accessories made from upcycled and repurposed materials. Some people just can’t get enough of hilariously awful souvenirs and tat – elephant earrings, magnets, ‘Same Same But Different’ T-Shirts, you know the sort. 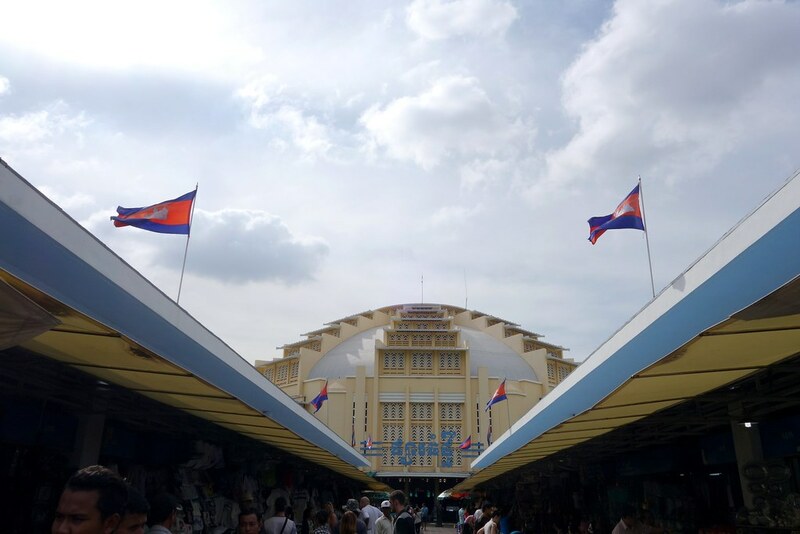 For you lot, you should just head to the Central Market, as you’ll find everything there. But remember, don’t take the first price they offer you! Do you buy a lot of souvenirs? Where do you pick up your favourite items when you’re abroad? Be sure to comment below, or let me know on Twitter, Facebook or Instagram! What an informative post. We don’t buy many souvenirs, but one thing we do do is try to buy a Christmas decoration everywhere we visit to add to our tree. Trunkh looks awesome I love the ethnic culture that is celebrated here. 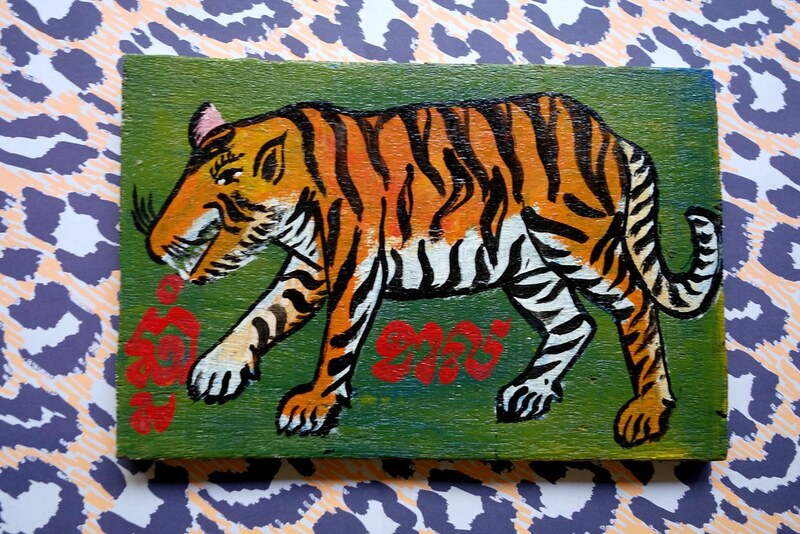 Love the tiger art piece. 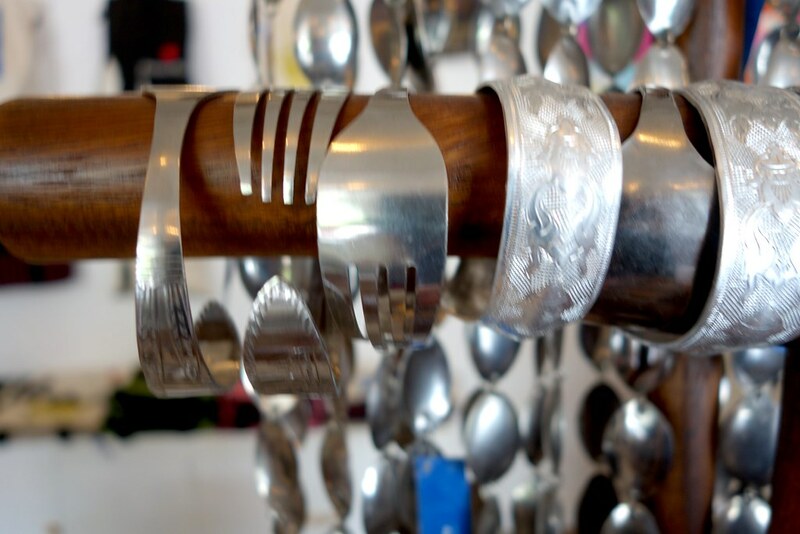 Thanks Ana – I really love the contemporary home accessories, while still being very Cambodian, too!